As our bodies are the external expression of ourselves, our minds are the internal expression of our being. Because our minds create our reality, we can change our reality simply by changing the thoughts we allow ourselves to think. We can use hypnosis or hypnotherapy to recognize and release self-defeating thoughts and beliefs that no longer serve our highest good. Hypnosis allows us to reprogram our minds with clear, positive messages that further our dreams and desires. As our minds become free from our former constraints we realize how simple it is to be joyful and how a clear mental state positively affects our bodies and spirits. Hypnosis is a natural state that all people drift into several times a day. If you have ever driven along, lost in a daydream, only to realize that you drove past your exit, then you have experienced a state of hypnosis. Hypnosis is simply a state of focused attention in which we are able to quickly and effectively learn – or unlearn – a variety of behaviors. All hypnosis is really self-hypnosis, and you remain conscious, but relaxed, the entire time. – How does hypnosis and hypnotherapy work? Hypnosis provides access to the subconscious portion of the mind, allowing us to consciously align the subconscious mind with the desires of the conscious mind. This means that we can quickly and efficiently learn and unlearn a variety of behaviors. Of course there is still work to be done in creating the new, desired pattern, but hypnosis makes it significantly easier. For example, have you ever set a goal that you didn’t achieve, even though you really wanted to achieve it? The conscious mind is the logical, reasoning part of your brain that you make decisions with. It represents 11% of your mind’s power. The unconscious (or subconscious) part of your mind is the part that stores all of your default patterns and behavior. When you brush your teeth, you don’t consciously decide which hand to brush with – a subconscious pattern in your brain does! The subconscious mind represents 88% of your mind’s power, so even if you decide that from now on you are going to brush with the other hand, 88% of the time you are going to fail because your subconscious mind is not in alignment with your conscious mind! – What happens in a hypnosis session? During a hypnotherapy session you remain conscious and completely aware of everything that is going on around you. Hypnosis is simply a tool that can be used to learn positive behaviors quickly and effectively. At the end of the first session, many people are surprised at how normal and simple hypnosis really is. We begin each session by talking about your concerns, putting into words exactly what you wish to overcome and why. We also talk about what it is that you wish to achieve and what positive suggestions would work the best for you. From there, we test your suggestibility, do a progressive relaxation, and we convert to hypnosis. – Can anyone be hypnotized? 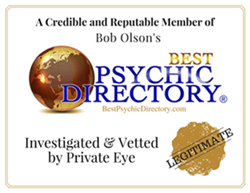 Does the hypnotist have power over you? Because all hypnosis is really self-hypnosis, you are the one who consciously chooses whether or not you will be hypnotized, the hypnotist never has any type of power or control over you or your behavior, and you can never become stuck in a hypnotic state. In fact, during the counseling portion of your first visit, you are one who helps to choose the suggestions that the hypnotist will be planting in your subconscious. All people can, and naturally do, enter the hypnotic state. – Is stage hypnosis real? But wait! Are you recalling scenes of the stage hypnotist having people cluck like chickens and run around like barking dogs? Don’t forget that this is entertainment, done by people who are expecting -the purposes are completely different! Yes, much of what you see on stage is real, but it’s entirely different than what we do in a clinical setting. – What are the reasons I should try hypnosis or hypnotherapy? If you have ever tried to change a habit or behavior, but felt that you were your own worst enemy, then hypnosis could be for you. If you have ever experienced failing will power, or lack of motivation, then hypnosis can help bring the power of the subconscious mind into play. A good hypnotist can help re-write the script that keeps playing out in your head, giving your mind a new script that more closely relates to your new goals and ideals. – What can hypnosis be used for? Hypnosis can be used for any habit that you wish to change. For example, increasing self-confidence, self-esteem, self-image, weight loss, weight gain, fitness, fears and phobias, motivation, grief, goal setting, relationships, post-traumatic stress disorder, anxiety, self-defeating behaviors, resistance to change, insecurity, relaxation, insomnia, nail biting, skin picking, stop smoking, athletic performance, trauma, test anxiety, stuttering, studying and test taking. – How many sessions of hypnotherapy are needed? It depends. How long have you had this negative behavior or habit that you are trying to change? Is it a superficial problem that you desire to change, or is it a persistent, deep rooted problem based on childhood abuse or training? And most importantly, do you truly desire to change, and are you taking the steps needed to facilitate the change? A relatively superficial problem such as a seasoned athlete desiring better athletic performance might only need one session before a competition. Why? The athlete is currently taking other steps towards this goal. He or she is in training for an event, and is focused on a specific outcome in a sport that he or she is already proficient and practiced at. A more complex or long-term problem will take more sessions. An overweight individual who is being pushed to lose weight for health reasons, but who has been overweight and inactive for 20 years will require more sessions to effect the desired outcome. The first sessions may focus on increasing the desire for change. This could bring up past issues such as the belief that “girls don’t do sports” or “wives and mothers aren’t physically attractive”. Once these life scripts are rewritten, and the individual truly knows and believes that they deserve to be healthy and attractive, the hypnotic sessions may address willpower to eat less or to move more. – Will I become dependent on my therapist? No! The goal of a good therapist is to increase your capacity to handle your own issues. As states above, all hypnosis is really self-hypnosis, and through hypnotherapy you will learn the power of your own subconscious mind, and how to access that. A therapist merely guides you along, but does not create dependency. – What are the limitations of hypnosis? Hypnosis is a powerful tool that is highly successful in changing behaviors or attitudes that the individual wants to change. However, if you do not truly desire a change, a hypnotist cannot force you to change. A spouse’s nagging to stop smoking is not a true desire to change. Also, hypnosis is not the single magic bullet. Be wary of anyone or anything that promises dramatic changes with no effort. All change takes effort and must be accomplished in the body, the mind and the spirit in order to truly be effective. Hypnosis helps reprogram the mind, which can give you the motivation needed to change the body or the spirit. It helps you with the process and your progress, but it is not a substitute for proper medical or health care. – How long do hypnotherapy sessions last? Typically sessions are an hour to an hour and a half. – How much does hypnosis or hypnotherapy cost? Sessions are $125 and payment must be made in advance or your appointment. If you are unable to attend your appointment, you must give 24 hours notice in order to receive a refund or to reschedule. If you are unable to give sufficient notice, no refund will be given. – What if I’m late to my appointment? Please let Lora know as soon as possible if you are running late and she will make every attempt to accommodate you. However, she is often scheduled back-to-back and if you are late to your appointment, your scheduled time will be diminished by the amount of time you are late. – Can I record my session? Yes, you may record your appointment on your phone, computer or other device. Recordings are for your benefit only and may not be publishes or used for any other purpose without Lora’s express, written permission.